Our outpatient clinics help patients at any stage of anticoagulation therapy safely manage their blood thinner medications, including warfarin sodium, Coumadin and Jantoven, and increase the amount of time their blood tests remain in the appropriate range. We help you manage conditions that require the use of short-term or long-term anticoagulants, including atrial fibrillation, mechanical heart valves, deep vein thrombosis, pulmonary embolism or other forms of blood clots. Clinical nursing team: ARNPs and RNs certified in anticoagulation therapy with specialized expertise in cardiovascular care. Days and hours of operation vary M-F. For appointments or more information, call 941-917-8889. Assess international normalized ratio (INR) values, medication and lifestyle changes. Lab testing with simple finger-stick technology. Immediate results and dosage adjustments as needed. Advanced medical assessments and interventions as warranted. 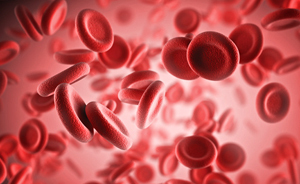 Manage changes in diet, medications and other factors or medical conditions that can affect anticoagulation therapy. Specialized tools and expertise to manage withdrawal from oral anticoagulation medications and low molecular weight bridging for procedures and surgery. Determine best course of therapy using evidence-based risk assessment tools (recognized as “best practices” by Joint Commission and the nation’s Magnet hospitals) to help analyze risk of withdrawal versus risk of procedural bleeds/hospitalized venous thromboembolism. Patients must have a referral and visit their managing physician at least once a year. Medicare, Medicaid and private insurance cover some or all of our services. People who are uninsured or experiencing financial difficulties may be eligible for free or discounted care.